The Vatican City is the expression of the strength and the importance of one of the oldest institutions in the world: the Catholic Church. The story of the Vatican area started 19 hundred years ago focused on the execution site and tomb of Saint Peter: the very first Pope. The Vatican Palaces are an immense complex of buildings, irregular in plan, whose construction dates back to different periods. Since the XV century the Vatican became the permanent papal residence and in 1473, Pope Sixtus IV erected the Sistine Chapel as his private papal church. Every new Pope wished to leave a mark of its papacy by having new areas decorated or implemented by the greatest artists of the past centuries coming to Rome from all over. The trend was reinforced by Julius II’s creating the Vatican Museum in 1506, to which new sections were added since then. The palaces now shelters 11 museums with an exhibition area of 3.8 miles, with works of art spanning from 4000bc to the present day. 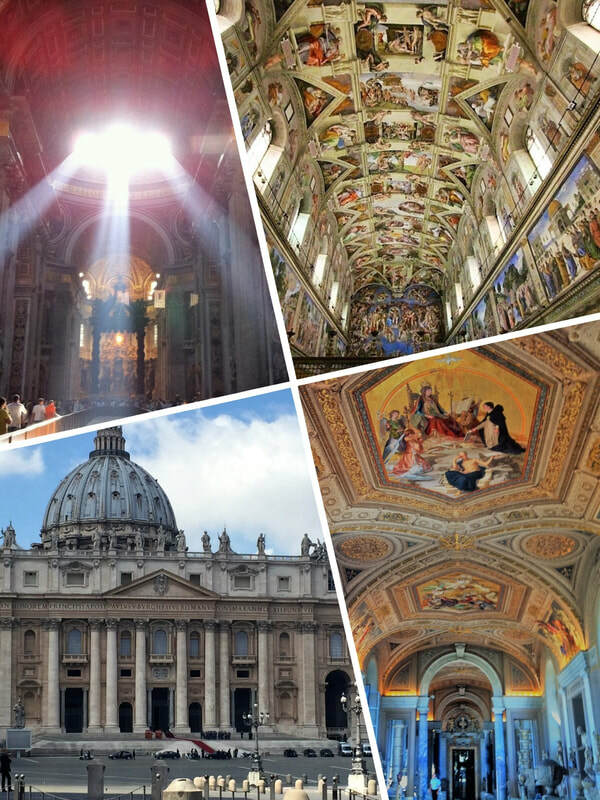 Visiting the Vatican with your private tour guide will allow you to have a tour geared on your interests, and will make your Sistine chapel tour unique. 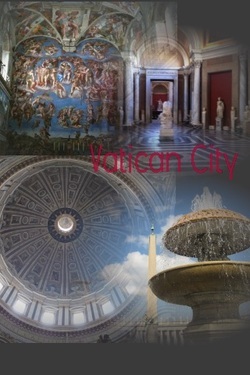 The visit can last from 4 to 8 hours to focus on the different sections of the Vatican museums according to your wishes. 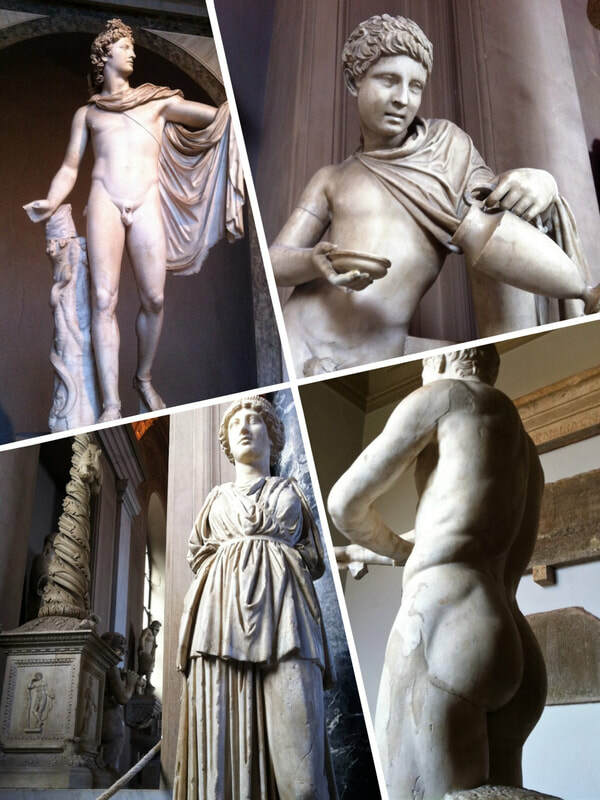 In the Vatican tour we’ll surely visit the famous statues collection of ancient Roman art, which forms the original nucleo of the museums: the famous Laocoon; the Apollo del Belvedere and many other statues, busts, sarcophagis, and bas-reliefs; The Candelabra, Tapestry and Geographical Maps Galleries. The Raphael stanzas, where Pope Julius II commissioned Raphael to decorate the walls of his living quarters, are included in the 4 hours itinerary, together with the Borgia apartment, where the famous family lived surrounded by the splendid decorations created by Pinturicchio. Next, we enter the Sistine Chapel, the supreme masterpiece by Michelangelo who spent four years painting the Sistine Chapel ceiling with scenes from the "Creation" while he was in his thirties and where he worked again in his sixties to paint the altar wall with the "Last Judgment". Following our tour of the Vatican Museums, we step into the immense St Peter's square and St. Peter's basilica. St. Peter's is the church of all churches. The best Renaissance artists were involved in the realization of this great basilica for 120 years to realize the largest church ever built. Visiting the basilica is a way to enjoy and compare the art history of the Renaissance and Baroque period . Michelangelo’s architecture and Gian Lorenzo Bernini's baroque art ,make the visit of this basilica a real must.